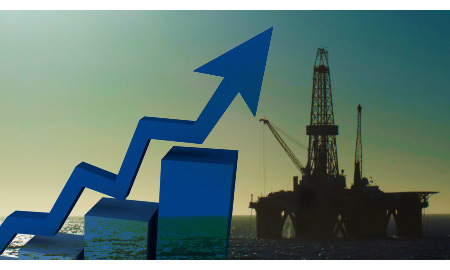 Drilling activity in the deepwater U.S. Gulf of Mexico continues its recovery, according to data from Rigzone's database RigLogix. As of April 23, 37 semisubmersibles and drillships are under contract in the deepwater Gulf of Mexico, according to RigLogix. Shell has seven deepwater rigs under contract – currently the highest number of rigs for an operator in the Gulf of Mexico. BP has the second largest number of deepwater rigs under contract with six, followed by Chevron with five, and Anadarko with four. Other operators currently active in the U.S. Gulf include Petrobras, BHP Billiton Plc, Eni S.p.A., LLOG Exploration and Hess. , which have two deepwater rigs each under contract. Walter Oil & Gas, Noble Energy, ExxonMobil Corp., Cobalt International Energy and Apache Corp. each have one deepwater rig under contract in the region. The number of deepwater semisubmersibles and drillships working in the U.S. Gulf of Mexico could rise to 52 in June 2014 and 54 in December 2014 if all of the deepwater rigs currently under contract remain so according to data from Rigzone's RigLogix database. Operators with rigs under firm contract in the U.S. Gulf in December 2014 will include BP plc, which will have six rigs, the most from any operator. Royal Dutch Shell plc will have five rigs under firm contract during that time. Anadarko Petroleum Corp. is expected to have four rigs working, followed by Chevron Corp. and LLOG Exploration Co. LLC, with three rigs each under firm contract. Exxon Mobil Corp., Petroleo Brasiliero S.A. (Petrobras), Plains Exploration & Production Company, and Statoil ASA each are expected to have two rigs under contract in the Gulf of Mexico in December 2014. At that time, BHP Billiton Ltd., Eni S.p.A, and Murphy Oil Corp. will each have one rig under firm contract. Eight of these units have unexercised options, while 13 units do not have any future contracts. If these options are exercised and 13 units without contracts receive awards, the number of rigs under contract will reach 54, according to RigLogix. Since the beginning of the year, 10 new contracts have been awarded, plus two options exercised, for a total of 12 contracts. Of those 10 contracts, two were sublet contracts. Optimism over the Gulf of Mexico's exploration and production outlook continues to grow as drilling activity and bidding activity resumes following the post-Macondo moratorium imposed by the Obama administration. Earlier this month, Parks Paton Hoepfl & Brown Managing Director G. Allen Brooks noted that the results of Central Gulf of Mexico Lease Sale 227 suggest the oil and gas industry is bullish on prospects in the region. Shell, Anadarko, Noble, ExxonMobil, BHP and Murphy Oil Corp. have drilled successful appraisal wells since the beginning of 2011. Statoil, Chevron, Noble, LLOG, Cobalt and Anadarko have also drilled successful exploration wells during that time. Last month, Chevron reported making a deepwater U.S. Gulf oil discovery at the Coronado prospect. In November 2012, Noble reported it had made a discovery in the Big Bend exploration area of the deepwater Gulf. Challenging conditions of the Lower Tertiary, including deep well depths, high pressure, high temperature conditions, and dense sub-surface salt have raised questions over the potential and timing for exploration success in this frontier Gulf play. Barclays analyst James C. West said in an April 23 research note. The Coronado, Shenandoah and other Lower Tertiary discoveries have helped confirm the potential and drive further operator interest in the Lower Tertiary play in the deepwater Gulf, West added.